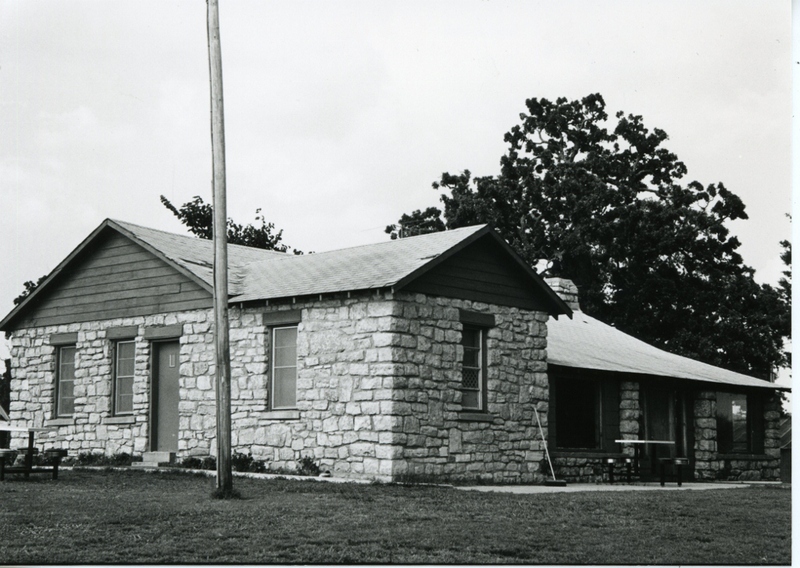 The Clubhouse at the Tishomingo Golf Club is a single-story, rectangular (49′ x 34′) structure constructed of tooled native stone laid in a rubble pattern. The gabled roof with projecting eaves is intersected by a side gable on the southwest side. Gable ends have clapboard siding. The roof extends over the porch and is supported by cutstone columns connected by blind rails except for the entryway. Singly placed sash windows rest beteen pre­formed concrete sills and lintels. 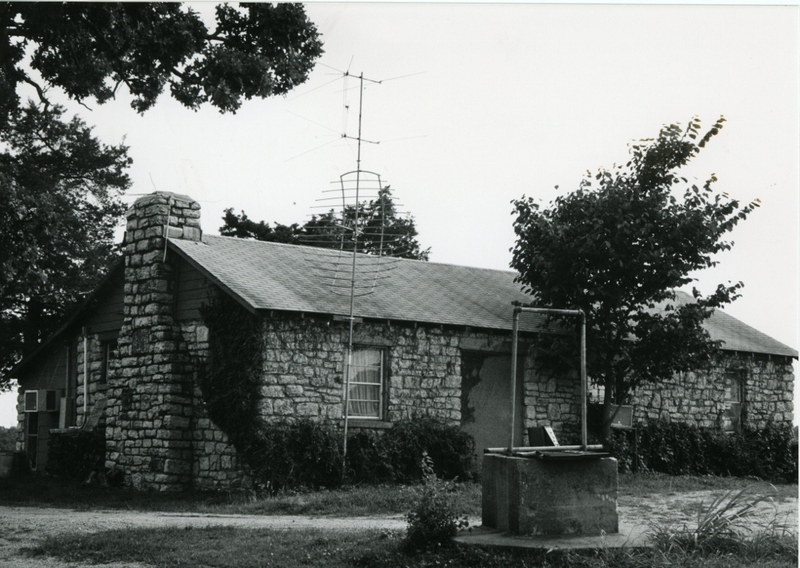 An exterior stone chimney underlines the “club house” atmosphere. Enclosure of one side of the porch with glass panes and a rear doorway with an wood insert have not impeached the architectural integrity of the structure. 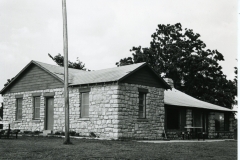 The Tishomingo Club house is especially significant as an architectural type. 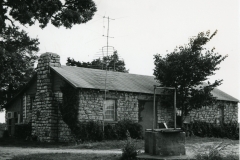 There were few golf club houses constructed by the WPA in Oklahoma, and this may very well be the only one that remains. One seldom associates the WPA with upper class recreational pursuits. Yet the facility does reflect the commitment of the agency to facilities that would promote public recreation and suggests a broad definition of useful. Construction of the building also provided job opportunities for unemployed laborers who had long been on relief rolls. VERBAL BOUNDARY DESCRIPTION: Go two and one-half miles north from Tishomingo on State Highway 95, then turn west one-half mile to club house, it occuping property that begins at the SE corner of the SW 1/4 of Sec. 33, T 3 S, R 6 E, and goes north 208 feet, west 208 feet, south 208 feet and east 208 feet.